I found the motivation to finish my degree for the potential to increase my intellectual capital, and lead by example for my daughter as well as those that I served with. Steve Gonzalez, SOCM, USN, Ret. In order for nations to keep pace with the rapid evolution of global geopolitics and the corresponding defense needs therein, Norwich University’s Bachelor of Science in Strategic Studies and Defense Analysis (SSDA) program seeks to build multidimensional leaders with the conceptual knowledge and practical skills necessary to protect their countries and communities. The program is specifically designed for active duty, Reserve and National Guard servicemen and servicewomen, and Marines assigned to or retired from one of the subordinate commands with the U.S. Special Operations Command and NATO Special Operations Forces. Through the SSDA curriculum, you will apply your current and prior military experience and education to field exercises designed to help you develop your research, critical thinking, ethical decision making and leadership skills. Transfer up to 90 semester credits and complete your degree in less than two years. Through our flexible online platform, you can access program content and contribute to class discussions at your own pace each week. Our experienced faculty of working experts provides unparalleled insight into defense strategy. As the nation’s first military college, Norwich is proud to support you as you balance an active duty schedule with academic pursuits. 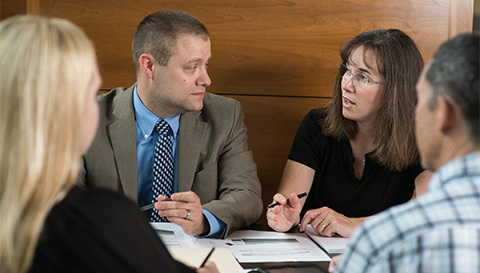 Norwich's Bachelor of Science in Strategic Studies and Defense Analysis (SSDA) curriculum includes four areas of instruction - general education, program-specific electives, field studies and a capstone project. Courses are taught by a faculty of defense strategy experts from around the world, and the program culminates in a series of independent research projects that focus on a country or region of your selection, taking into account the historical, economic and sociocultural influences at play in order to recommend methods of improving conditions in the region. This research is not simply relevant to your work in the field, but is also applicable to the military’s body of knowledge of regions around the world. For a Norwich bachelor's degree, you must earn at least 120 semester credits, including transfer credits. This course is a study of men and women in war and the military service: their ideals, experiences, and strategies as seen in foreign and American military literature of the 19th and 20th centuries. Prerequisite: EN102 or EN108 or equivalency. Most of the world’s crucial environmental issues and many regional conflicts are related to the degradation and/or overuse of the Earth’s basic resources, including air, water, soil, and energy. This course focuses on the physical and chemical processes associated with the degradation of these resources, as well as an examination of potential solutions. The course addresses and integrates into scientific studies two themes that underlie all environmental issues: sustainability and human population dynamics. This course covers frequency distributions, averages and standard deviations, normal curve, probability, decision-making, sampling techniques, hypotheses testing, chi-square, T and F distributions, correlation, and linear regression. Prerequisite: MATH 102 or approval of the program manager. Students examine how Sustainability Science has emerged in the 21st Century as a new academic field defined by the problems it addresses rather than by the individual disciplines it includes. They learn that, by addressing the complexity of the problems that threaten the survival of life on this planet, sustainability science combines the study of environmental, human and engineered systems to provide solutions to problems such as climate change, pollution and biodiversity loss. Students examine how evidence-based, quantitative data is collected and used to define and monitor sustainability-related issues and problems, and discuss how critical thinking skills can be applied to an interdisciplinary understanding of problems and solutions, as well as how information networks can both supply important data and serve as a medium for communicating with other interested parties on a global basis. The course concludes by examining how sustainability science relates to an ever-widening range of decisions, strategies and activities in the private, public and military worlds, illustrating how an understanding of sustainability science will be critical to every future leader's toolkit of competencies. This course addresses the effects of a variety of forms of sub-state violence on world affairs. Topics include sources of terrorism, its major characteristics, the problems it poses for global peace and stability, responses to terrorism by countries and international organizations, and the problem of balancing public safety and personal freedom in dealing with terrorism. This course examines how emergency managers respond to national, state, or local disasters. Students gain a broad understanding of the functions, challenges, key concepts, and organizing principles of U.S. emergency management. Emphasis is placed on how emergency management is structured and organized by examining the National Response Framework (NRF), the National Incident Management System (NIMS), and the Incident Command System (ICS), as well as other standards that govern emergency management in the United States. You will apply your learning to develop an emergency plan capable of addressing identified threats. This course requires broad knowledge, in-depth understanding, analysis, synthesis, and creativity in regard to the topics addressed. Prerequisites: none. In this course students compare and contrast selected insurgencies and counter-insurgencies from across the globe. Students acquire both broad knowledge and in-depth understanding of the practice of insurgency in various regions and nations. This course introduces the overall concept of Information Warfare (IW) and Information Operations (IO), particularly with regard to the U.S. federal government and the Department of Defense. Pre-requisites: none. This course is designed to enhance the critical and creative thinking skills needed to solve complex and ill-defined problems. Key themes are problem framing, operational art, leadership, and the outcomes for human security. You will examine historical and contemporary examples of strategic-level planning in highly complex operations and use this learning as a framework for problem solving within and across agencies. You will complete a major team project on a complex problem vignette that requires creating a course of action a leader must follow to meet the desired end state. In this course students will learn about operations management and project management within a military setting. They will learn how to analyze and apply theory to address strategic and operational challenges. Students will address the role of leadership in effective operations and project management. Pre-requisites: none. Please note: This course is still under development. This course explores the background and evolution of homeland security in the post- 9/11 era. Students learn about the public and private infrastructure and functioning of homeland security operations, technology used to explore threats and enhance safety, innovative solutions to threats, risk prevention and management, and critical incident management of terrorism threats, natural disasters, and other threats to homeland security. Pre-requisites: none. This course examines a range of contemporary international issues – from questions of realism versus idealism in foreign affairs to changes in the nation-state, the rise and influence of member states in the Pacific Rim, and overall global security objectives. It will explore the uses of strategic intelligence by world leaders in shaping policy and the effects of strategic intelligence on world events. Students will be required to closely follow international developments and learn how to discuss them objectively and analytically. Areas of emphasis include science, technology, and globalization as the environment in which concepts of international security evolve and change over time. Pre-requisites: none. This course focuses on the significance of sharing and coordinating information across all levels of government to support homeland security partners in preventing, protecting against, and responding to crime and terrorism. It explores the role of fusion centers and how these centers serve the specific needs of their jurisdictions while supporting the broader homeland and national security enterprise. Fusion centers overlay national intelligence with local, state, and regional information, enhancing understanding of the threat environment across all levels of government. They augment the federal government’s analytic capability and enhance situational awareness in order to protect the nation. Pre-requisites: none. This course provides a short introduction to general ethics, with applications to practices and problems in the criminal justice field. It uses the case study method to focus on immediate decisions that involve common, ethical dilemmas faced by criminal justice professionals in the police, courts, and corrections. It also studies a selection of more general issues involving the criminal justice system that are of common public concern, as well as the deeper question of why certain forms of behavior should or should not be criminalized. A study of the law of armed conflict and the legal use of force. Students review international law theory, including the primary sources of international law, and then evaluate the impact of international law on past, present and future operations. Topics include: international law formulation; rules of engagement; issues surrounding detainees, internees and prisoners of war; air, land and sea laws; and the application of international law as it pertains to military operations. Prerequisites: none. In this course, you will complete a field study project to analyze and evaluate the economic indicators and infrastructure of a country or region of interest, exploring its local, regional, and global challenges and opportunities. The study will include recommendations for strengthening the region’s economic institutions and infrastructure. The course culminates in a substantive research paper or academic project that reflects broad knowledge, in-depth understanding, analysis, synthesis, and creativity in regard to the topics addressed. Prerequisites: ECON 310 Socio-Economics Studies or permission of chair of the department of continuing studies. In this course, you will complete a study of a country or region in relation to a key aspect of its culture. Within this broad framework, you will explore an issue related to an aspect of cultural conflict or cross-cultural communication by addressing the region’s cultural competence: the ability to navigate complex cultural environments in pursuit of mutually satisfactory outcomes. The course culminates in a substantive research paper or academic project that reflects broad knowledge, in-depth understanding, analysis, synthesis, and creativity in regard to the topics addressed. Prerequisites: SOCI 335 Introduction to Cultural Competence, or permission of the department chair. In this course, you will study the geography of a region of interest and how geography relates to implementation of a project or to the cause of or resolution to a problem in the region. You will examine natural resources and resource challenges, paying particular attention to mineral, oil, water, and other highly valued assets in the region. Your study will address future geographical or resource challenges of the region and include recommendations for infrastructure changes that would help maximize effective use of resources. The course culminates in a substantive research paper or academic project that reflects broad knowledge, in-depth understanding, analysis, synthesis, and creativity in regard to the topics addressed. Prerequisites: SSHI 310 Historical Studies or permission of the department chair. You will analyze and synthesize program learning with a particular focus on ethics and leadership. You will analyze ethical scenarios and a tactical ethics text and present an in-depth ethical analysis paper. For full credit, you must address how your work will contribute to the U.S. Army’s body of knowledge about the topic(s) under discussion. Prerequisites: Completion of all SSDA courses or permission of the department chair. You may receive the equivalent of up to 60 semester credits for SOF courses, preparation in leadership and language study, or additional specialized military training as reviewed for credit by the American Council on Education or a similarly recognized organization. An additional 30 credits may be transferred on a case-by-case basis. Your military transcripts will provide Norwich with the information needed to begin reviewing and evaluating your military experience and training for college credit. From student support to classroom resources to exceptional faculty, Norwich has your online learning experience covered. The Strategic Studies and Defense Analysis program is an investment in your future that we can help you manage from a financial perspective. 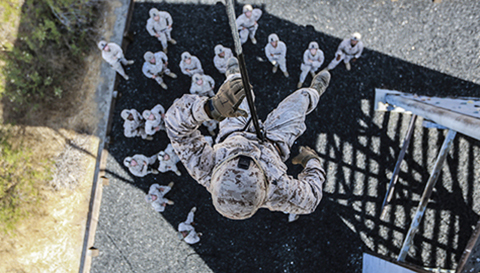 We work with military personnel each day to help them maximize their benefits. As the nation’s first military college, Norwich University has a nearly 200-year legacy of producing graduates who are proud, principled leaders in the military, business, government, and communities worldwide. Now more than ever, academic credentials are critical components for career advancement within the military and retirement transition. The strategic studies and defense analysis online program make use of our flexible virtual learning platform to help you complete your formal education and supplement your valuable Special Operations Forces training. 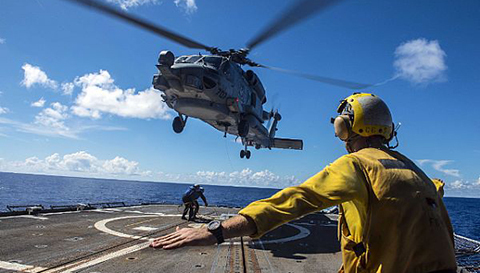 Whether you are hoping to advance within your command, or transition to a new career outside the military, Norwich is here to serve, support and challenge you every step of the way. Norwich’s Strategic Studies and Defense Analysis (SSDA) program is home to Special Forces leaders from around the world, in all branches of the military. The program’s innate flexibility and dedicated faculty of experts have made it possible for you to complete your degree while serving active duty in the military. No matter your ambitions, the SSDA program helps qualify you for a wide variety of career options. *Source: Norwich University Bachelor of Science in Strategic Studies and Defense Analysis, fielded in March 2014. Soldier seeks educational options with the Joint Special Operations University. Current student helps develop Special Forces doctrine. Strategic Studies alumnus has article published in Special Warfare magazine. James Dalton is an experienced educator, with a focus on graduate and undergraduate military college program development and instruction. Earning the rank of commander with 27 years of active duty military experience in the U.S. Navy, Dalton has served as a naval flight officer and a professor at the Naval War College. 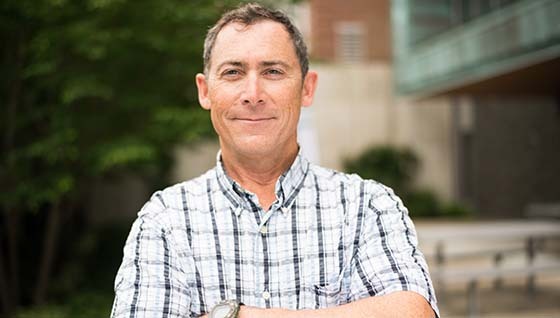 As a military professor, he developed and managed military education programs for advanced warfare studies related to conventional and unconventional warfare across all phases. 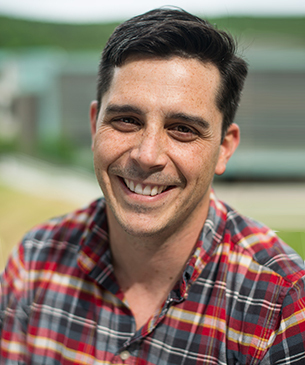 During his assignment as a joint experimentation officer, he designed and coordinated test programs for new systems to benefit all branches of the U.S. Special Forces and developed curriculum dedicated to unconventional warfare education. He has his master’s degree in national security and strategic studies from the Naval War College, as well as a bachelor’s degree in education from the University of Missouri. Get to know the graduates of Norwich’s online Strategic Studies and Defense Analysis program. The way the SSDA program was tailored to the Special Operations community appealed to me because the courses were all applicable. I could use the first-hand knowledge I gained from working in the Special Operations community and apply it directly to my studies and class discussions. I was attracted to the Strategic Studies and Defense Analysis program because of its relevance to my experiences downrange and my general interests as a whole. During the program, I got married, moved for a job and we adopted a puppy. Life has been moving fast, but it has been wonderful! I work in construction management as a contracts manager. I work with a lot of state agencies that require a general level of diplomacy, which is about getting people with different motives working towards a shared goal. I decided to get my master’s degree so that I could keep my career options open. I chose diplomacy because I thought that the transferable skills of conflict negotiation, clear communication, and leadership can be used in any career path. Residency enabled me to connect more deeply with the brick-and-mortar and the faculty and staff of Norwich. It enabled me to put location and faces to the institution and those who had been prominent in achieving my educational goals. Norwich forever!